Cloud computing has gained significant attention, especially in the case of public authorities, due to their size and scope of services. In fact, most public sector organizations are very complex in nature with many departments, sharing large volume of data but also having rigid organizational structure and significant funding restrictions in terms of innovation. Cities, moreover face the demand for flexibility and quick “time to market” with respect to citizens’ demand. 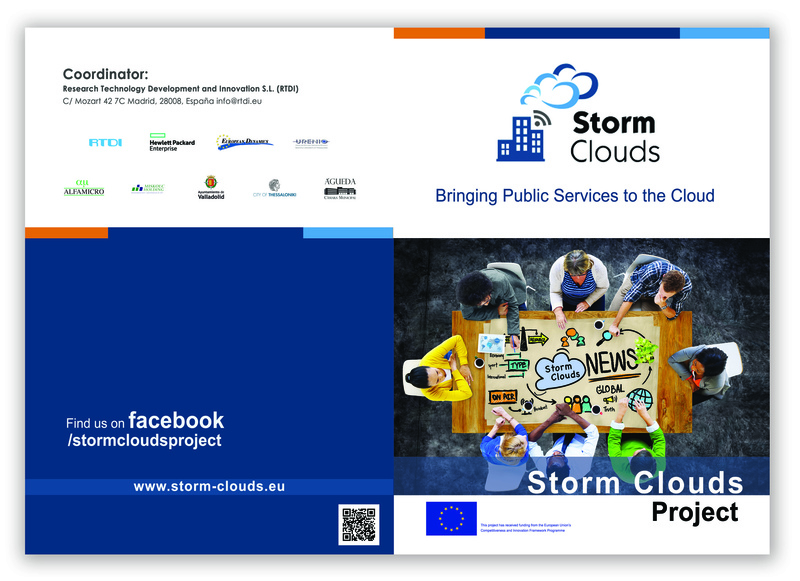 STORM CLOUDS project explores how Municipalities can migrate their public services to the Cloud and how this will impact citizen’s lives. 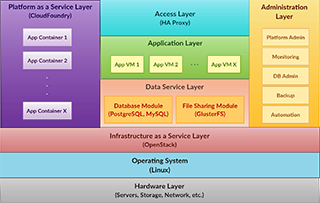 Its purpose is to explore the sift to a cloud based paradigm in service provisioning in an organized and fast-paced manner, by creating a set of relevant guides and best practices. 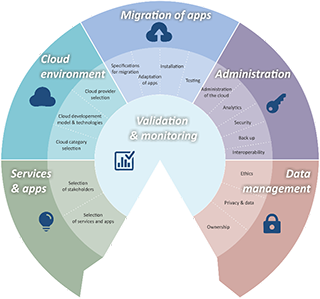 The project provides a methodology for the Cloud migration process, mainly from the point of view of the end-users (user-driven open innovation process). By taking the STORM CLOUDS approach, public authorities can take full advantage of the cloud computing model and quickly provide citizens with highly reliable services despite recourse constrain. The project ran two calls for cities looking to act as replication pilot sites. 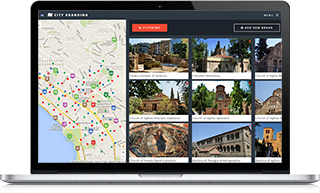 During 2015 and 2016, Municipality of Guimarães, Portugal, Municipality of Veria and Municipality of Athens in Greece joined the project.